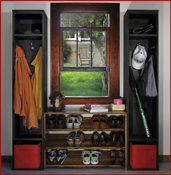 We have wonderful modular furniture to mix-n-match and create the perfect wall system for an entryway, or as an excellent modular storage solution for a mudroom. 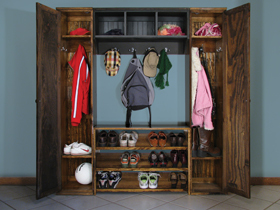 Choose whether you want our solid wood lockers, storage cabinets, or a couple of each! 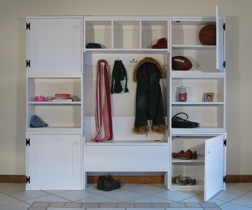 Add a storage bench or modular shelf to put an entire wall storage system together! 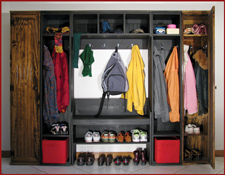 Check out some of our sample configurations of modular storage systems, or come up with your own custom storage solution!